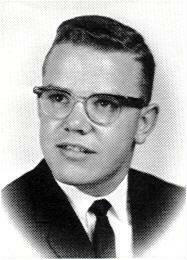 Glenn Edward St. Marie, born in Duluth, Minnesota on August 5, 1945 to Glenn Albert St. Marie and Irene Helen (Carlson) St. Marie, it was there along the shores of Lake Superior that he grew up, attended school and graduated with a BA degree in sociology from the University of Minnesota, Duluth in 1967. In 1966, Glenn married Susan Jacobson in Duluth; she was his partner until their divorce in 1976. Glenn was employed as a social worker for St. Louis County from 1967 until his enlistment in the United States Army where he served as an infantry and psychological operations officer in the United States and Viet Nam from 1968 to 1971. Following his honorable discharge, he earned his Master’s Degree in social work at the University of Minnesota and then returned to St. Louis County Social Services to work as a planner/evaluator, Assistant Director of Financial Services and Director of Child Support Enforcement until 1982. In 1982, Glenn and his partner, Jane Erckenbrack, began travels around the United States in a motor home. During that time, Glenn decided to attend law school and they subsequently settled in Washington D.C. where he attended the Antioch School of Law from 1984 until 1986 when he earned his JD degree. Glenn practiced law in Washington D.C. and Maryland from 1986 until 1999. His special interests were employment and immigration law as well as many years as a legal advocate for families experiencing the struggles of poverty, domestic violence, child abuse and neglect. Glenn and Jane were married in Tacoma Park, Maryland on March 31, 1989; 13 years after their adventure began. They adopted four children over the next 6 years and raised them in Washington, DC until 1999, when they moved to Jane’s home town of Wadena, Minnesota. Glenn was a man of deep convictions who had great curiosity about the human condition and our relationship to the Divine. Glenn earned his 1st Degree Black Belt in Tae Kwon Do and then became a student of Qi Gong and Tai Chi which he faithfully practiced and taught for 20 years. Glenn had a heart for those experiencing violence, addictions, poverty and injustice. He belonged to Veterans for Peace and the ACLU. In 2005, Glenn began to struggle with the effects of exposure to Agent Orange while in Viet Nam; this included prostate cancer and Parkinson Disease. Glenn is preceded in death by his parents, Glenn and Irene; his step-mother, Glory St. Marie; and father-in-law, Harvey Erckenbrack. He is survived by his wife, Jane; stepfather, Gerald Robison of Duluth, sisters, Carla (Garry) Hansen of Spooner, WI, and Margaret (Karl) Honigman of Duluth; sons, John and Antonio (Margaret Flath) St. Marie of Wadena and William (Nakia) St. Marie of Washington, DC; daughter, Jessica St. Marie of Shakopee; grandchildren Mikayla, Emilee, Antonio Jr., Malik and Kiashawna; mother-in-law, Mary Ann Erckenbrack of Wadena; sisters-in-law Kay (Kim) Gudmestad of Minneapolis and Nancy Erckenbrack of Seattle, WA; and many nieces, nephews and friends. The memorial service for Glenn St. Marie will be held at 11:00 a.m. on Thursday, October 10, 2013 at the Immanuel Lutheran Church in Wadena, with Pastor Nate Loer and Christie Meier, AIM, officiating. Friends may call at the church on Thursday from 9:30 a.m. until the time of the memorial service. Glenn, 68, died October 1, 2013 at the St. Cloud Hospital. Memorials may be directed to the Michael J. Fox Foundation, The Southern Poverty Law Center or charity of the donor’s choice. mail: 400 Washington Ave. Montgomery, AL 36104 - phone 334-956-8200.